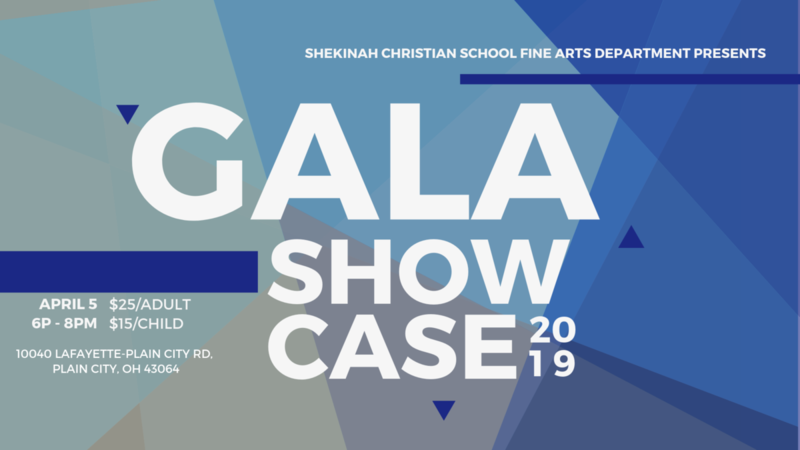 Shekinah Christian School presents....our 2019 Gala Showcase Dinner Theater showcasing our Mid and High School Fine Arts Departments. 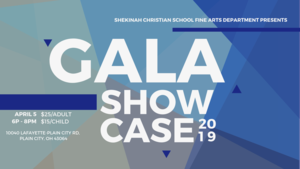 Come enjoy a sit down dinner, browse and look at art displays, talk to student artists creating pieces, bid on the art silent auction pieces, and enjoy instrumental and vocal ensembles. Tickets can be purchased by calling the school office at (614) 873-3130.